This new book is an exciting follow-up to the authors' bestsellers on differentiated math instruction, Good Questions and More Good Questions. 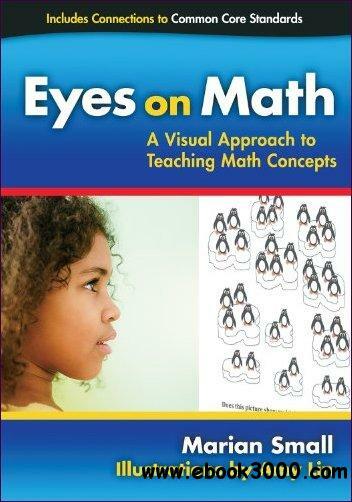 Eyes on Math is a unique teaching resource that provides engaging, full-color graphics and pictures with text showing teachers how to use each image to stimulate mathematical teaching conversations around key K-8 concepts. Teachers using the book can download the images for projection onto classroom white boards or screens. The questions and answers will help both students and teachers look more deeply and see the math behind the math! Questions to use with students to lead the instructional conversation. Expected answers and explanations of why each question is important. Follow-up extensions to solidify and assess student understanding. This book will be useful to a broad range of teachers who will find new ways to clarify concepts that students find difficult. It can be used as a resource to prepare teachers for the higher mathematical thinking requirements of the CCSS Mathematical Practices. It will also be an invaluable resource for teachers working with students with low reading ability, including English language learners and special education students.